Where would I be without foundation? In a hole somewhere, hiding my face like I'm sure many of you would too. Sometimes it can feel so naked not wearing any makeup, and foundation is a staple for many people. 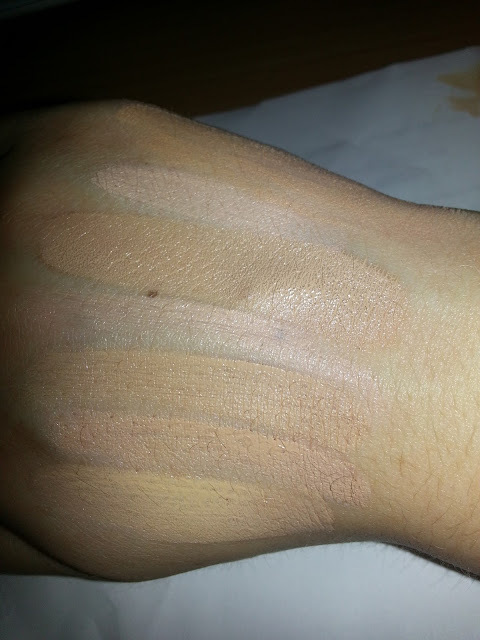 I have tried lots of different types of foundations, liquid, cremes, mousse, stick. 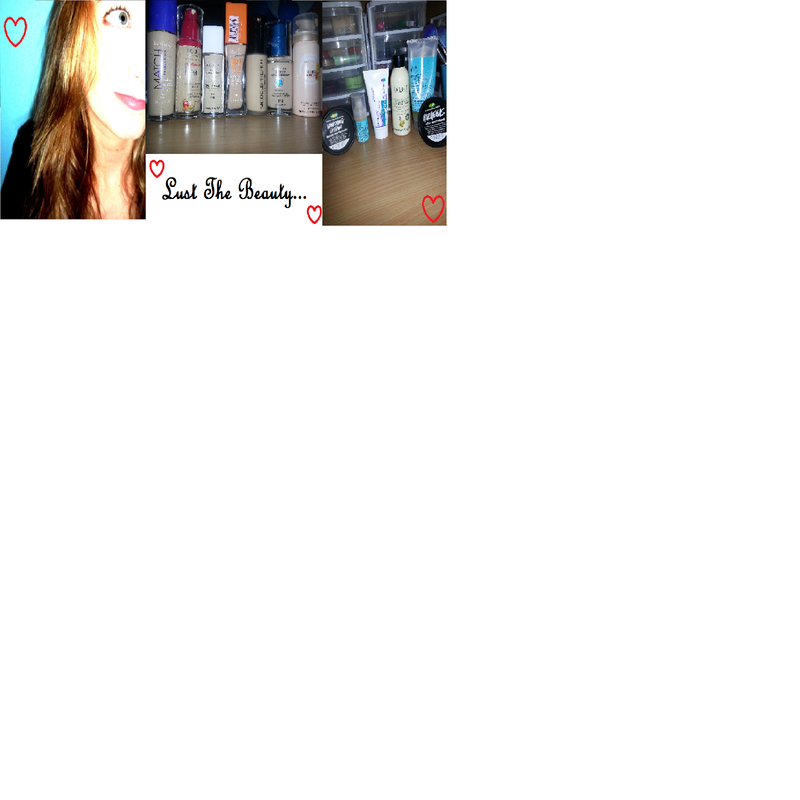 But the ones in my collection at the moment are definitely my favourites that I have tried so far. I have a fair few. I have two BB creams, three liquid foundations, one mousse, one creme, and four powders. I will go through each one, of course, hopefully to help you find which type of foundation would be best for your skin type! So here is a swatch of all the liquid/creme/mousse ones (as obviously powders wouldn't come out on camera). 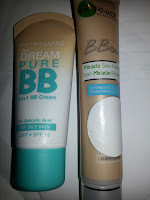 Garnier Skin Naturals BB Cream Miracle Skin Perfector for combination to oily skin in light. 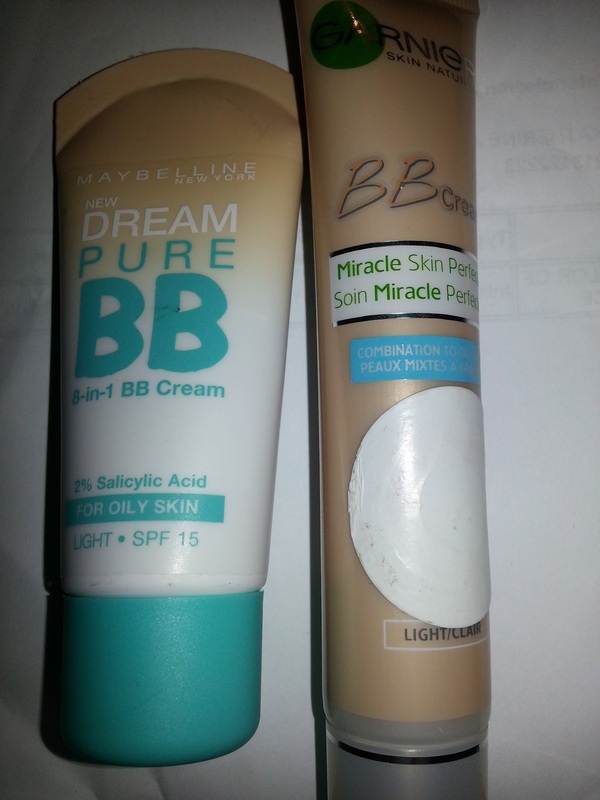 Maybelline Dream Pure BB 8-in-1 BB cream for oily skin in Light. My staple for ages was the Garnier BB cream, which really surprised me, as I'd only heard negative things about some of their other products. It has a really nice light coverage, brightens up my face and dries matte, almost like you have just applied a light powder. The colour is perfect for my skin, and it is just an absolute must for a travel/purse item, for touch ups or for day trips. For heavier coverage, I use the BYS creme foundation, as it is super thick. Applied with a sponge, only a small amount goes a long way, and it is great to build with. I use this on any redness on my face, or if I'm going for a night out and want heavier coverage that will last the night. 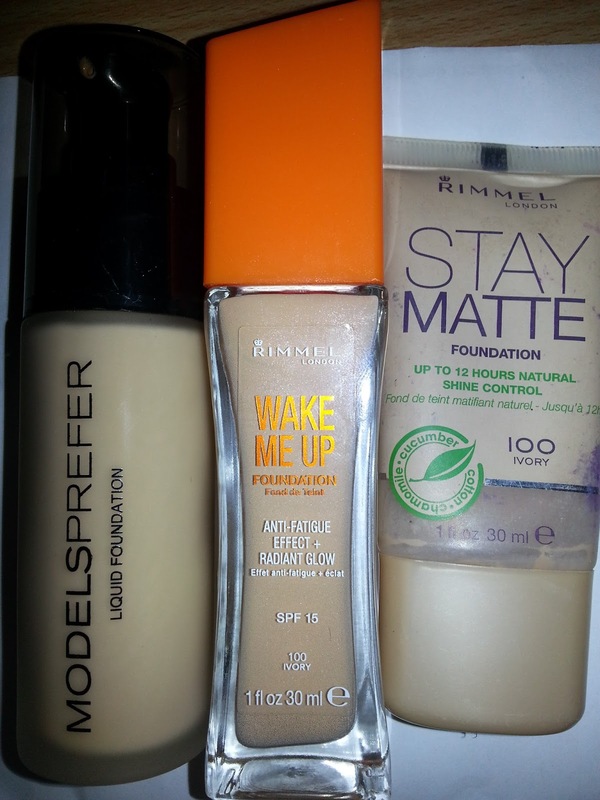 For a fresh and awake look for when I'm super tired from work, I'll use the Rimmel Wake me up foundation along with the wake me up concealer and shimmer touch to perk me up. The foundation goes on beautifully and has the softest radiant glowy undertones, to help make your face look so much more radiant and awake look. For an everyday matte light-to-medium coverage I will use the Models Prefer foundation (shout out to Priceline for having gift packs of concealer, foundation, a brush and 2 sponges for $10! ), as it gives a nice natural finish, and it great for preventing shine. Because I have oily/shiny skin, I ALWAYS use a powder over the top of any liquid foundation; but this can also be used to help set it. 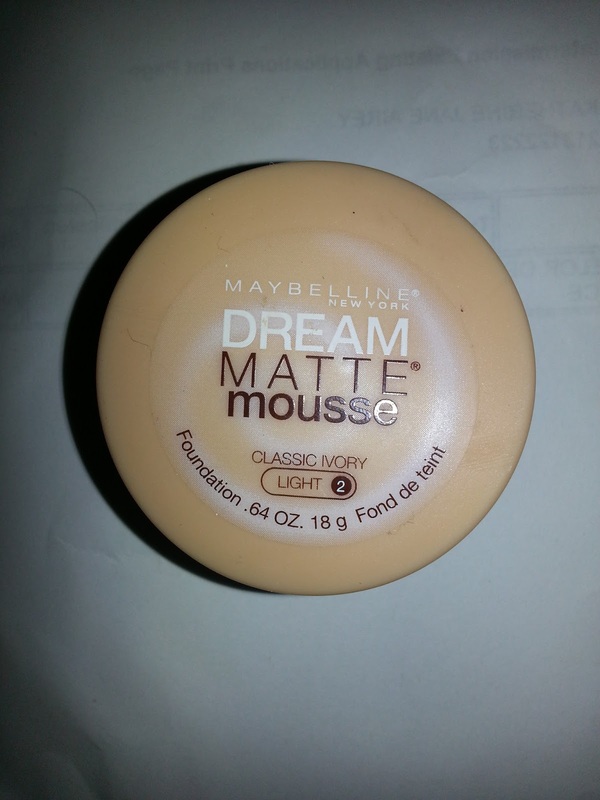 Most days I will reach for my Maybelline Stay Matte pressed powder in 001 Transparent. This leaves my face with a soft matte finish that holds all day. If I'm feeling particularly pedantic about my face, I will use my Almay line smoothing powder in light 100, followed by the Stay Matte powder. This just lightly fills in any small creases/lines in my face to help with an airbrushed finish. Again, if I'm feeling a bit dull or particular, I sometimes use the Maybelline Instant Age Rewind Protector Finishing Powder, just for that last bit of oomph. 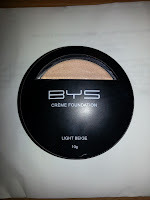 It has an SPF of 25 and leave a light sheer glow to the skin, and was only around $10 from Gloss. 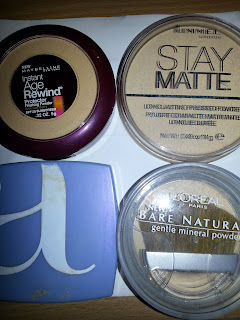 Other than those Liquids and Mousse (which by the way, even in Light, I can still almost use as a bronzer), I also have the L'Oreal Paris Bare Naturale gentle mineral powder in Light Ivory 410. The Stay Matte liquid foundation I find to be slightly oily on my face, which is opposite to what it says it does, and it has been sitting in my makeup bag for a few years now, and is still not even half empty. I only use it if I'm desperate. Just a quick tip, too, in case you don't remember, I have oily/combination skin, so all of the products I will be reviewing/commenting on will be good for oily skin. Stay tuned for my next post, which will be purely on concealers! Everyone needs a good concealer, or two....or five.. So how about a review on all of the ones I've been using?